You are viewing a brand new Emporio Armani Pants Trousers Size M US 33 Italy 48. 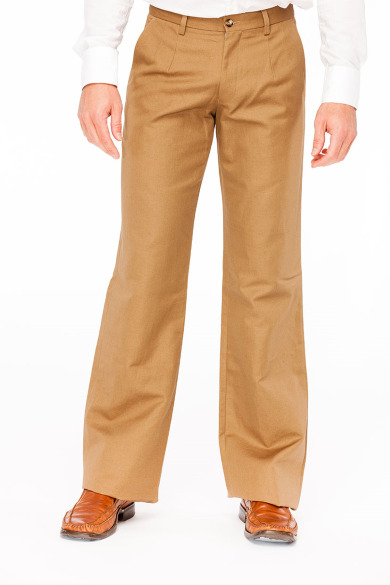 This Pants Trousers is elegantly designed with fluid extraordinarily smooth fabric (Cotton 54.00% , Flax 46.00% ) . Please see additional pictures for color pattern (Brown) and other beautiful details. This is a great deal for a brand new Made in Italy Emporio Armani Collection item - 100% AUTHENTIC. All items are photographed live in our studio and individually pre-measured for your best fit - Total Length: 46 inches (116.84 cm) ; Waist Size: 33 inches (83.82 cm) ; Inseam: 36 inches (91.44 cm) ; Rise: 10 inches (25.40 cm) .